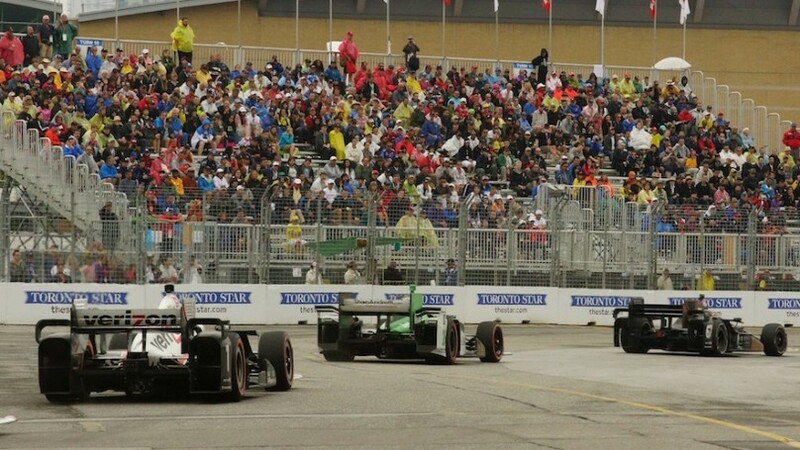 Once again it was a fantastic weekend of racing at the Honda Indy in Toronto a few weeks ago. However, the racing wasn’t the only fantastic part of the weekend. Thanks to the generosity of Indy fans in Toronto, the Ontario Honda Dealers Association and Honda Canada, more than $73,000 was collected and raised for Make-A-Wish Canada! Once again, Toronto has shown why the best of the Indy world keep heading back year after year for the race and festivities. This is the sixth year of fundraising for Make-A-Wish Canada at the Toronto event, with almost $500,000 raised to-date! Best of all, these funds stay in Canada and give Canadian children with life-threatening medical conditions a chance to have a little bit of fun and some incredible life experiences. Also during the weekend, Honda ambassador and the only Canadian driver in the Verizon IndyCar Series, James Hinchcliffe made a special appearance on Fan Friday to mingle with some of the guests from the Make-A-Wish Foundation and their families. He also signed autographs and stuck around for photos, and left all the children with smiles on their faces. While the Honda Indy may be over for another year, there are always opportunities to donate to Make-A-Wish Canada! To make a $5 donation, text the word ‘DREAM’ to 41010 from any mobile phone.